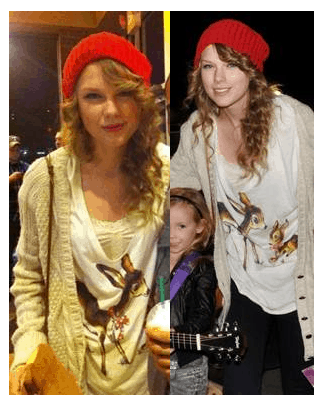 Recently Taylor Swift was spotted in Paul & Joe Sister’s ‘KIJOUE’ T-Shirt with the beloved BAMBI on it. Her tee-shirt is available at the Paul & Joe Flagship located at 138 S. Robertson Blvd., Los Angeles, CA 90048. This piece retails for $150.